“The Loyalty Revolution” was the theme of the Loyalty Academy Conference in March 2018. This annual conference is hosted by The Wise Marketeer Group, the best read news site for loyalty marketeers. Blockchain will be the technology transforming these customer loyalty programs. By providing a shared digital ledger, blockchain has the potential to improve them in a number of ways. Partnerships between brands will be easier to create and maintain. The possibility of online exchanges will improve liquidity and value for consumers. This will result in better value and spending options for consumers and thus make them happier. And the costs to operate for businesses will be reduced. That will result in improved margins and retention rates. Making revenues from existing customers is cheaper and more predictable than from new ones. That’s why many businesses in retail and travel offer customer loyalty programs. By spending money you earn points that you can spend on products or services that would otherwise cost you money. The rationale is that by giving away products and services for free to customers who spend money with you, they will stay with you and not go spend their money with the competition. No wonder a consumer loses track over the gathering and spending of loyalty points. And the businesses won’t reach their goals in retaining their customers this way. In practice, loyalty programs are difficult to set up and maintain. In the US in 2016, 3.8 billion individual loyalty memberships were counted. Most, 42%, were in the retail business. The travel industry was as a good runner up at 29%. Striking fact: only 46% were active memberships (1). This isn’t very surprising though, as the average number of memberships per household is 29 (2). All 29 have different rules and restrictions. And there is no interaction between them. You may need a separate plastic card or app for each one. And in travel, one trip will have a different collection of points per component (airline, hotel, taxi, etcetera). Settling is an administrative nightmare. The information about these programs’ balances is mostly kept in data warehouses. When shared with partners, settlement is a headache. Both keep their own ledger of points given out and redeemed in separate silo’s. Definitions may differ. The result is a rise of the percentage of active memberships. And thus in retention for the businesses involved. Additionally, if points could be traded in online exchanges, value for customers will rise even more. Because then, you can spend your points received from one program on goods and services from another of your choosing. Moving customer loyalty programs to blockchain will greatly decrease friction and increase customer happiness. 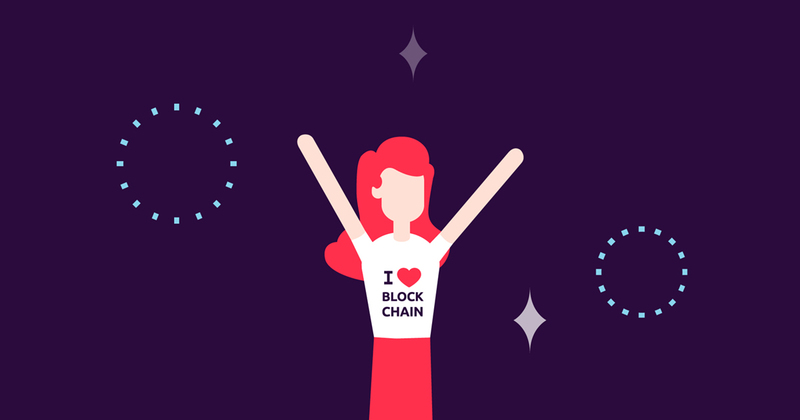 Do you want to know more about blockchain for loyalty programs?